Mountains: A man's gotta eat. A man's gotta drink. A man's gotta climb mountains. And a man's gotta laugh. A man's gotta eat. A man's gotta drink. A man's gotta climb mountains. And a man's gotta laugh. 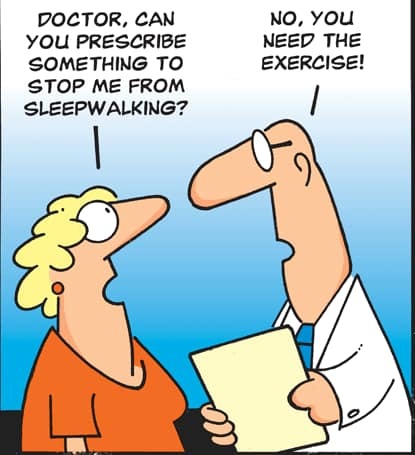 Woman: "Doctor, can you prescribe something to stop me from sleepwalking ?" Doctor: "No, you need the exercise !" A big hello from Chris, Brisbane. Similar to my list of useful things I've done lately.